One of the great benefits of our French immersion holidays is our programme of afternoon activities. 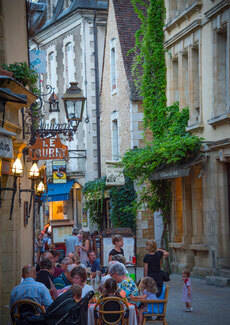 We will take you to some of the great sites of France to get you listening and speaking in real situations. Each of the four afternoon visits is complemented by a French Residential factsheet. Written by us and with our students in mind, each factsheet presents the history and main features of the places we will be visiting, along with a vocabulary list of useful words. Given to you on your arrival to Gourdon, they will enable you to prepare the visits in your own time so that you can get the maximum benefit out of each visit and really start to get behind the scenes of the major sites. 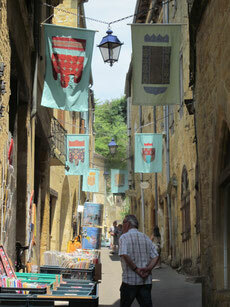 The medieval town of Sarlat is one of the Dordogne's most popular destinations and just 30 minutes from Gourdon. We send you on an adventure trail through the town, using a set of clues. You will uncover the town's fascinating history while using all of your French language skills, including talking in French! 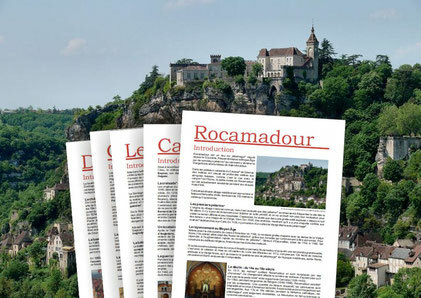 Just 40 minutes' drive away is Rocamadour, one of the must-see gems of this area and one of the most visited sites in France. 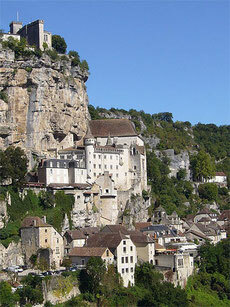 Built into the cliff side, the town has jaw-dropping views and architecture which defies the dizzying location. This is a great opportunity to engage passers-by and shopkeepers. We give you a worksheet to help you find out how the town came to be and sniff out the interesting details. You'll need to use your French to complete your mission! Gourdon town is 5km from the famous Grottes de Cougnac, which boast the oldest cave paintings that can be visited in France - 25,000 years old! 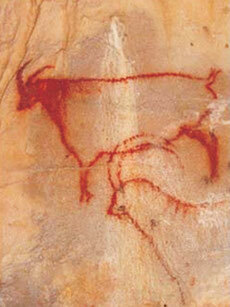 There are two caves - the first is a 'wet' cave, meaning that the formations are still growing, and the second is dry now, but this is where the amazing cave paintings can be seen. The guides are real enthusiasts and give many interesting insights into the geological and prehistorical aspects of the caves. Again, tours will be in French and there will be opportunities for questions. Organized with the Tourist Office, we take an official tour (in French of course!) of the medieval town centre. Gain a fascinating insight into the daily life and changing fortunes of a French town from the Middle Ages onwards, and learn how Richard the Lionheart made the mistake of crossing Bertrand de Gourdon. We'll be on hand to help you quiz the guide about history, local architecture or anything else which has pricked your interest. 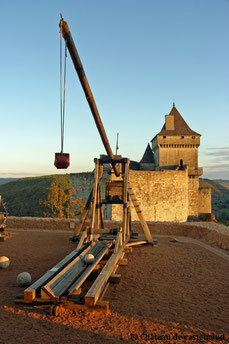 The Lot and Dordogne regions of France have many superb medieval châteaux. During the Hundred Years' War, many of the region's castles repeatedly changed hands between the French and the English, giving an extra dimension of interest to English-speaking visitors! We will take a guided tour packed with the fascinating facts and fictions of a local castle. 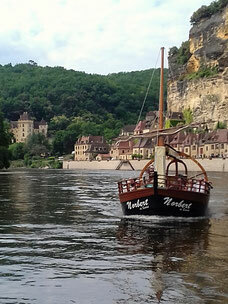 What better way to experience the beauty of the region than a leisurely trip down the mighty Dordogne river? The "gabare" is a traditional wooden barge that has plied the river for hundreds of years. Our guide will explain the history of trade to and from Bordeaux, point out flora and fauna as we pass and tell the stories behind the picturesque castles that line the river valley. 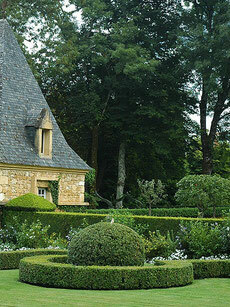 Arranged over 10 hectares, these gardens are a feat of French topiary not to be missed. We take a walk around the gardens with our guide, who explains the different gardens and their influences. Learn about the forms and structures of the French formal garden and be inspired to garden à la française! 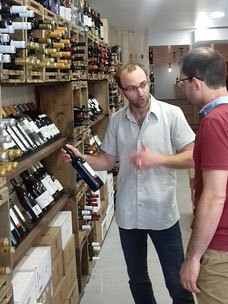 Surely no trip to France could be complete without a sampling of the famous wines of the South-West. Try Bergerac, Gaillac and Cahors wines and learn what sets them apart and gives them each their distinctive identities. The talk, of course, will be in French with a local 'caviste' (wine merchant) and you will be welcome to ask many questions. There's no obligation to buy, but by all means use the opportunity! Cahors, the departmental capital sitting on the river Lot, has winding medieval streets and one of the best markets in the region. Downstream, the river Lot is also home to the vineyards that produce the Cahors appellation wines. You take the train from Gourdon into the centre of Cahors, a 25-minute journey through the rolling landscape of the region. Once there, you seek out the hidden medieval gardens dotted across the town and complete a 'treasure hunt' that will require you to engage the help of passers-by! The benefit of doing this kind of residential French course, as opposed to only following class study outside of France, is the opportunity to get intensive exposure, not only to the French language, but also to the French culture and people. By meeting the French people and understanding their ways, you can build a better appreciation of what it is you love so much about France! Even on holiday in France, it can be hard to find opportunities to speak French when out and about. To build your confidence in initiating French conversation and to enable your ability to understand the French spoken in real life, we create the opportunities you will need to put your developing language skills to the test. 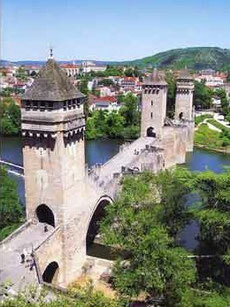 Intensive, French immersion holidays in France for adults in the Lot & Dordogne!